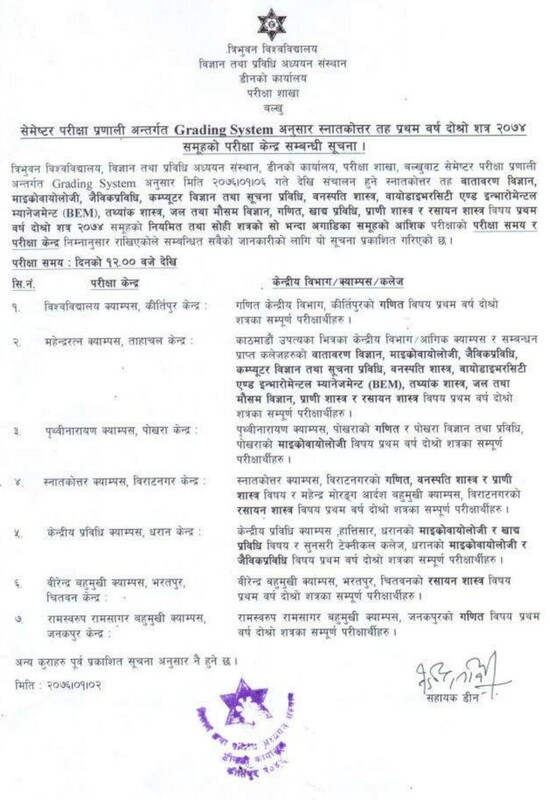 Tribhuvan University, Institute of Science and Technology, Dean's Office, Kritipur has published exam center of all the programs of M.Sc. (Second Semester). Check the notice below for more details.